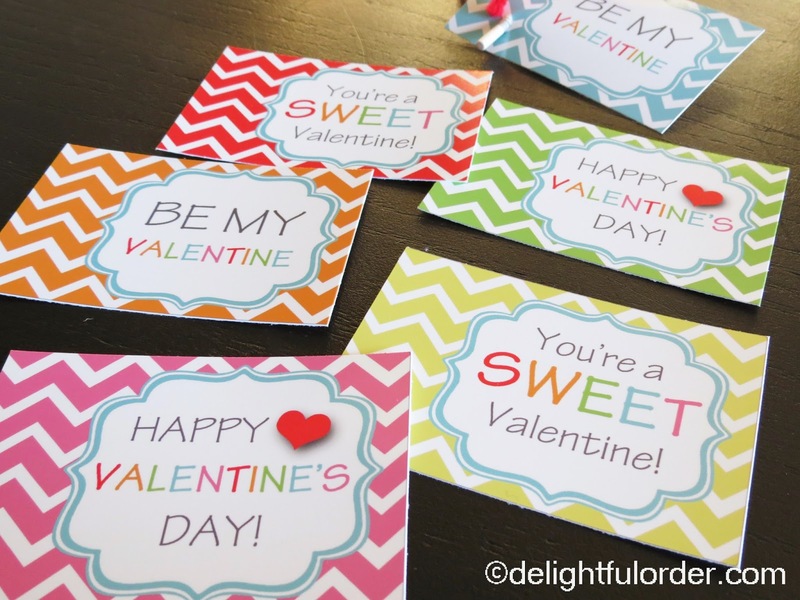 Today, I whipped up some free printable Valentine Tags for all my Sweet Delightful readers to use. If you'd like, pop a couple of holes through the tag and slide a lollipop through. Or use them on a box, a bag, a wrapped gift, attached to a goodie bag, as part of a candy bouquet arrangement, etc. There are many ways you can use them. Feel free to use them in whatever way you choose. Just remember, they are for personal use only. Simply click the photo below and print the FREE 8.5 x 11 pdf page. 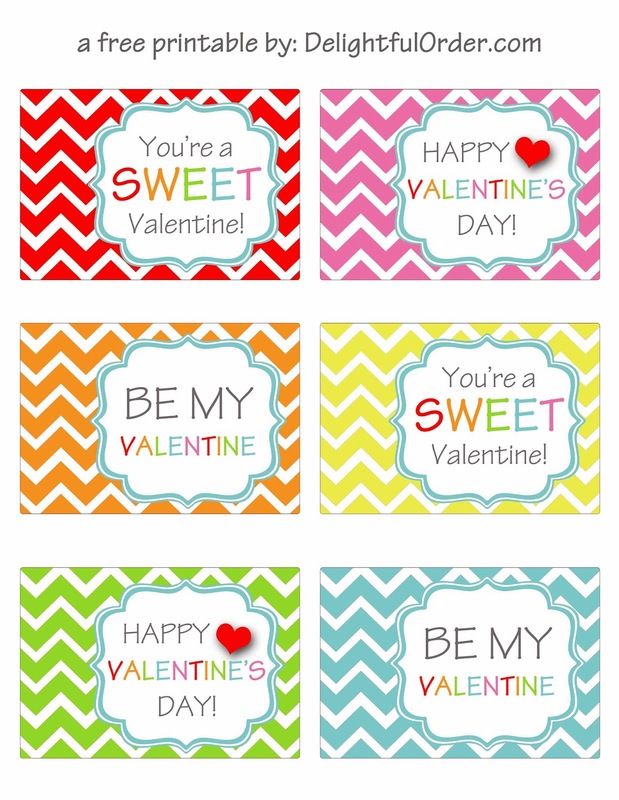 For even more freebies, visit my Free Printables Page and for more printables, visit my ETSY SHOP. 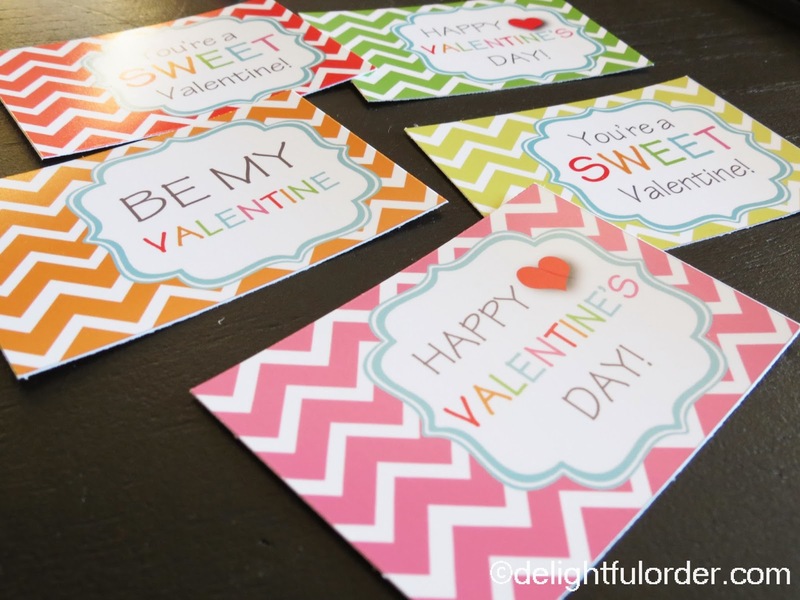 Aww, these are super cute especially since they are chevron pattern :) Thanks so much!! Love them!! These are so cute I'm going to save this to remember. 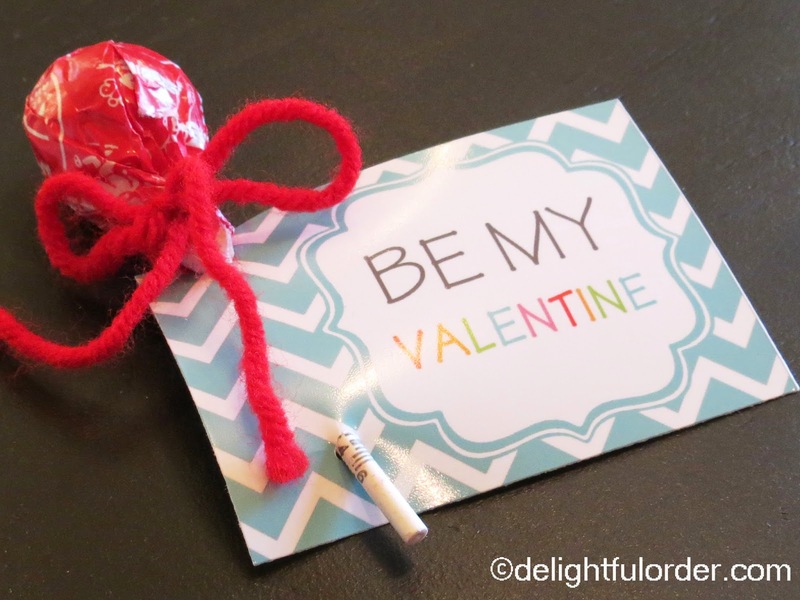 This year I really wanted to be crafty with my kids Valentine's and ended up just buying them :( Thank you for sharing this!